This project is close to my heart as I have served on the board of this missions organization since it was founded in 2007. I got my start in web design by building my first website to support this non-profit organization in 2008. It was definitely ready for a major overhaul! I used the large background fixed images to highlight the great photos of India taken by our volunteer teams during our trips. I have personally travelled several times as part of a teaching team and have fallen in love with the people there. I updated the logo with the “flat, long-shadow” look and created custom icons for the home page to match. 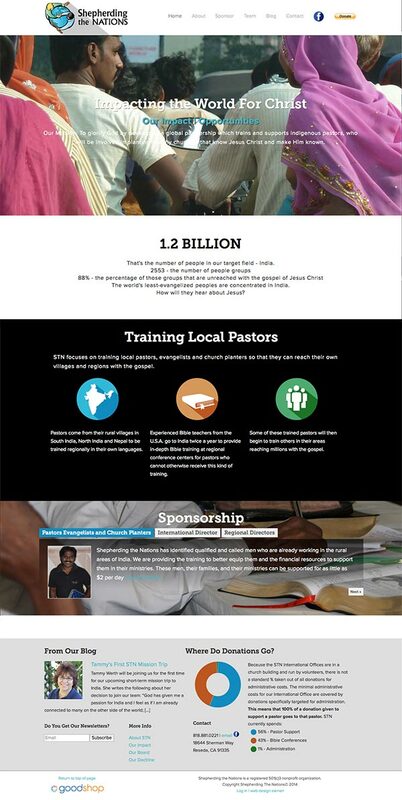 A tab group, blog excerpts and an interactive chart help deliver content about this missions organization. More updates and functionality to come.